Please bear in mind that “Wushu” translates to “martial arts” in general in this context, and does not imply the negative connotation of empty showmanship that some “wushu” may have gained. Wushu (literally, “martial methods”) was historically termed “Wu-Yi” or martial arts. Fairly recently, the Chinese government changed the term to “Guoshu,” or “national method.” The term most popular in North America is “Kung-fu,” which actually means one’s ability in any skill, not necessarily martial. “The Way is so small and simple, but the meaning is timeless and profound. The emphasis and importance of this type of martial training has played an important role throughout Chinese history. During the Tang Dynasty (618-907 A.D.), which was one of the most powerful periods of Chinese history, warriors were actually chosen through martial competition and officers were promoted through this same sort of competition. Since at that time communications were well established with many neighboring countries; Chinese Wushu had a pronounced impact on these countries and was called “Tang Soo Do,” the Way of the Chinese Hand. During the Ming Dynasty (1368-1644 A.D.), various forms of Wushu were well established in Korea, Japan, Tibet, and many other countries. What is called “Karate” is actually a descendent of Southern Chinese boxing forms, and similarly, Judo can trace its origins to the importation of Chinese wrestling and Qinna, the precursor of Jiu-jitsu. 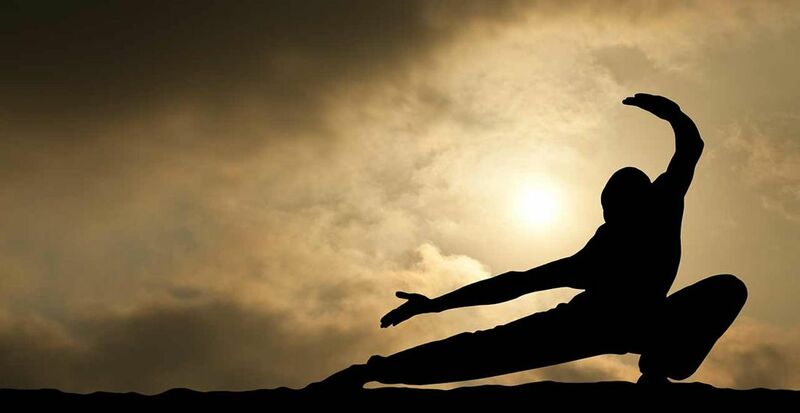 Today, Wushu needs and uses recent advances in sports medicine, nutrition, etc., because it is often practiced as a highly demanding sport and a delicate, complex art form…not just a system of self-defense. Roughly speaking, the difference between internal and external styles can refer to whether the strength is from the torso and legs (internal) or whether the strength is derived from training of the more specific arm and leg muscles (external). The word “internal” often connotes a more pliable martial style. Southern or Northern styles naturally refer to the general origin, but finer distinctions are often made about style differences of these two schools. A. Long Fist — Styles such as Zha, Wa, Wha, Pao, Hun, Fangzi, and many other Shaolin Long Fist styles. Each style may contain 20 to 30 routines. B. Taiji [T’ai Chi Ch’uan] -Chen style, Yang style, Wu style, Wu [or Hao] style, Sun style, Kun Lun, Spontaneous, Qigong, Bagua Taiji, etc. Also included are Taiji styles derived from the above sets. C. Southern Fist — Hong Jia [Hung Gar], Cai Li Fo [Choi Li Fat], Mo, Tiger & Crane, Southern Branch, Wing Chun [Yongchun], Wing Tsun, Diou Family, Ermei Southern, Tai-I Five Elements, Hard Entrance Southern, Nine Temple, Eighteen Kicks, Zi-men Southern, Hun-Men, Yu-Men, Gun-Men, Yui-Men, Wudang Southern, White Eyebrow, White Crane, Crane Ha-Gar, Five Elders, Grand Elder, Lo-Han, Yue-Chia, Kun-Men, Five Plum Flowers, Ermei Shaolin, Wudang Shaolin, etc. It is estimated that in Canton alone there are more than 400 types of Southern Shaolin. D. Xingyi [Hsing-I] — Five Elements and Twelve Animals, Linking Five Elements, Four-Grasps Punches, Eight Postures, Ba-tze Kung, Twelve Crosses, Tsu-Ru Ton, Mixed Form, Rin-Yan Jior, etc. E. Bagua — Basic Ba-Gua, Innate Ba-Gua, Latent Ba-Gua, Ba-Gua Consecutive Palm, Close-body Ba-Gua, Ba-Gua Dragon Form, etc. F. Imitating Styles — Preying Mantis, Eagle Claw, Monkey, Tiger, Leopard, Drunken-Style, Drunken Eight Fairies, Duck, Snake. Rooster, Do~, etc. G. Other Styles — Ba-ji, Ton-Bei, Ton-Bae, Six Harmonies/Eight Methods, Wu-Ji Chuan, Liang-I, Ssu-hsiang, Gung-Li, etc. Although there are more than 400 different types of ancient Chinese weapons and many usages of each, there are only about 18 standard weapons that you will usually see in Wushu competition. Sometimes a practitioner will combine two weapons in a form or do a variation involving two of the same weapons. Some instances of forms often seen in competition are: Broadsword, straight sword, spear, staff, Kwan-sword, double-swords, double straight-swords, double hook-swords, double-ended spear, nine-section whip, rope-dart, chained hammer, 3-sectional staff, 2-sectional staff, daggers, double short-staff, etc. Choreographed fighting forms are used by students in order to develop an understanding of the offense, defense, distance, reaction, speed, and so forth of a particular martial style. These forms can be practiced to the extent that spontaneity replaces the more mechanical. Bare-hand sparring — with or without protective equipment. Taiji Push Hands — Stationary, moving, free-style, free-sparring. Qinna — This joint-locking and controlling is done seated or standing. The category of Qigong involves demonstrations of internal power and strength. Practitioners of this esoteric art demonstrate the powers that internal strength training and breath-training have given them. In recent years, many of China’s excellent Wushu teams have demonstrated their skills in foreign countries. These displays of finely-honed martial ability have caused a stir wherever they go. Although these teams have exhibited the performance side of Wushu, many of the other beneficial aspects of Wushu have not been equally extolled. In fact, some detractors of Wushu relegate it to at best a form of gymnastic exhibition, having little to do with actual martial arts. Such thinkers usually assign the term “Kung-Fu” to what they believe contains true, functional martial arts, i.e., if a form is pretty, it is probably not useful. It is the author’s observation that this distinction cannot so easily be made. In many North American martial-arts competitions it becomes fairly obvious that the distinction between “Wushu” and “Kung-Fu” is even less clear than in China. In reality, “Kung-Fu” is “Wushu,” the major difference being that Wushu training has not only traditional fighting sets, but also difficult tumbling and rigorous basic training of skills. Wushu has some extremely competent fighters among its ranks, as well as those who are more interested in health or performance. Whatever it is called, modern martial arts are evolving and improving…the traditional basics give us a firm base upon which to build. It is said that there four general techniques which apply to all styles: Kicking, striking, throwing, and controlling. Of course, kicking can involve tripping, in addition to foot and leg strikes. Striking refers to the blows from all areas of the body, head, hands, elbows, hips, shoulders, etc. Throwing refers to the techniques of wrestling, grappling, etc. which are used to down an opponent. Controlling is a general term which includes joint locks, tendon or muscle stretching (in a painful manner), striking of nerve points, and the obstruction of breath or blood flow. In Long Fist, the requirements for “Hands” are “fists like shooting stars,” which infers that the movements of arms, hands, wrists, and fingers be with a relaxed strength and speed. The motions in Long Fist will be from lightning fast to a sudden, stable halt, and conversely, from motionless to a sudden burst of power. The “Eyes” must be alert and alive, following the hands with lightning speed. One’s “Body” or torso, with its central point at the waist, must be agile and lively. The stated traditional requirement is that the “waist behaves like a crawling snake.” The “Steps” must be stable and, regardless of how rapid the movements are, the feet must stick to the ground. There is a pertinent traditional saying, “To punch is easier than to walk. First, we judge the steps, then we judge the attack; if the steps are not stable, then the punches can but be chaotic. If the steps are stagnant, then so must be the punches.” “Spirit” refers to the mental state of the individual and is as important as the physical expression. Again, we are not referring to superficial facial expression or pretended aggression, but to that intangible, “Shen.” “Breath” or “Qi” is an integral part of sequence practice. By breathing deeply to the lower abdomen we can chance our stamina and delay or avoid the onset of breathlessness. This is often phrased as “sink the chi to the Dan Tian.” As an example, let your breath “come up” (fill your lungs) when you are rising from a lower posture to a higher one. From a higher posture to a lower one, “sink the breath” (let out air, keep the pelvis tucked). When generating explosive force, focus the breath by explosively exhaling and allowing the contracting muscles to add to your other focused strength. “Strength” in martial arts is different from the strength in weight lifting. In martial applications we are very interested in focusing the body’s strengths toward a small area of application. To execute a correct thrusting punch, the stable ground provides the basis of power which goes from the feet and is aligned through knees, hips, waist, spine, shoulders, and elbows to the hand. This linked support of the entire body enable a practitioner to “focus” the power of the ground and thereby produce more power than a person using brute strength. In motion, move like a thundering wave. When still, be like a mountain. Rising up, be like a monkey. Land swiftly and lightly like a bird. Be steady like a rooster on one leg. One’s stance is as firm as a pine tree, yet expresses motion. Spin swiftly and circularly like a wheel. Bend and flex like a bow. Waft gracefully like a leaf in the wind. Sink like a heavy piece of metal. Prey like a watchful, gliding eagle. Accelerate like a gusty wind. To summarize the “Eight Qualities” of Long Fist practice, we make use of the descriptive Chinese saying: “The fist is like a shooting star, the eyes are as quick as lightning, the body moves like a writhing snake, the steps are sticky, the spirit is full, the breath sinks low…the strength must be articulate and the ability pure.” By grasping the meaning of the “Four Fighting Methods,” The “Eight Qualities,” and the “Twelve Descriptions,” we can improve our practice and performance of martial arts by tenfold. Martial arts practitioners have many and diverse goals in practicing this form of physical culture. It should be borne in mind that many people practice Wushu for the health benefits and are not overly concerned with either fighting ability or “machismo.” There are many styles of Wushu and most do a good job of exercising the entire body while not being too demanding about the size of the workout area…gender and age are of little consequence. What a grand sport! Contemporary Wushu emphasizes accurate, artistic movement. The more newly created sequences often combine aerials, tumbling, etc. with the traditional requirements to make the form more impressive or sophisticated. It is a quality of human nature to love beauty of movement, so the practice of these embellishments is understandable…as long as the core movements and the martial philosophy remain intact. The rapid spread of Wushu practice and the appreciation of its performance are good indicators of the general appeal this sport has to people. Once again it is worth repeating that the martial roots of Wushu should not be forsaken in the rush to display physical ability, for therein lies the distinction between Wushu and dancing. Of the hundreds of styles of Wushu, each has its specialties and interesting history. It is good for an individual to specialize in one style, but it is also important to continually improve by being attentive to the good points of other styles. The easily accepted “closed door” thinking should be discarded in order to bring a healthy attitude which compliments our contemporary society. Fortunately for all of us, there are many martial artists who are currently sharing their knowledge and research of various styles. “Wu-de,” or martial virtue, is the foremost quality of a martial artist. A famous Chinese proverb says, “A full can of water will not make noise, but a half can does.” All truly good martial artists, from ancient times to now, have displayed good character and personality control as an example for us to emulate. Although there are thousands of practical training methods, there is no absolute method. Methods usually imply strict formulas, but people are all different. Efficient use of martial formulas hinges on the understanding and judgment of the individual practitioner. The key point in learning is understanding “why,” not “how.” The successful practitioner can implement one technique in many variations if his understanding is good; an unsuccessful aspirer will learn one technique and therefore know only one. Realistically, a person who learns a sequence of sixty or so techniques will not be able to use them equally well in an actual situation, but his learning of timing, essence, and the underlying principles of a style make the study more than worthwhile. In real life, many martial-arts masters were famous for using one simple technique to defeat opponents. The process of discovery in the form that you are learning is more important than the final answers at which you arrive, because there is no absolute answer. That is why there are so many varieties of martial arts! Strategy is another important consideration while learning the essences of a form. You must constantly evaluate the environment, your opponent, distance, etc. There are many “traditional” strategies such as “attack by defense,” “retreat to attack,” “stay in the center in order to attack from the sides,” etc. One can trap an opponent by exposing some area to attack but have a counterattack prepared. A sudden change in rhythm and direction can be effective. The variations are endless; spend time thinking about them. In summary of practical thoughts during your study of martial arts, consider the following: When sparring, do not hurry to succeed and do not try to win through strength. Wisdom and courage are the most important factors. The keys for winning are sharp eyes, fast hands, courage, strong stance, solid strength…plus a confusing combination of techniques. Always continue in your training of the basics, because these have the greatest application in practical situations. *** This article was a joint work by Bill Chen and Mike Sigman back in the late 80’s or early 90’s and was a translation of an article by Liang ShouYu which was to be used in one or several of Mr. Liang’s books. It’s original copyright was in the 1990’s. Permission to post this article came from Mike Sigman.